Research shows that physicians are more likely to work in areas where they have gone to medical school or done their residency. The A.T. Still Program helps build the Region X workforce pipeline by introducing more students to opportunities in Northwest health centers. In 2008, Northwest Regional Primary Care Association (NWRPCA) partnered with Andrew Taylor (A.T.) Still University’s School of Osteopathic Medicine in Arizona (SOMA) and the National Association of Community Health Center (NACHC) to form a Region X community campus medical school located in Portland, Oregon. The A.T. Still SOMA/NWRPCA Regional campus is one of 11 community health center –based campuses in this innovative model. The A.T. 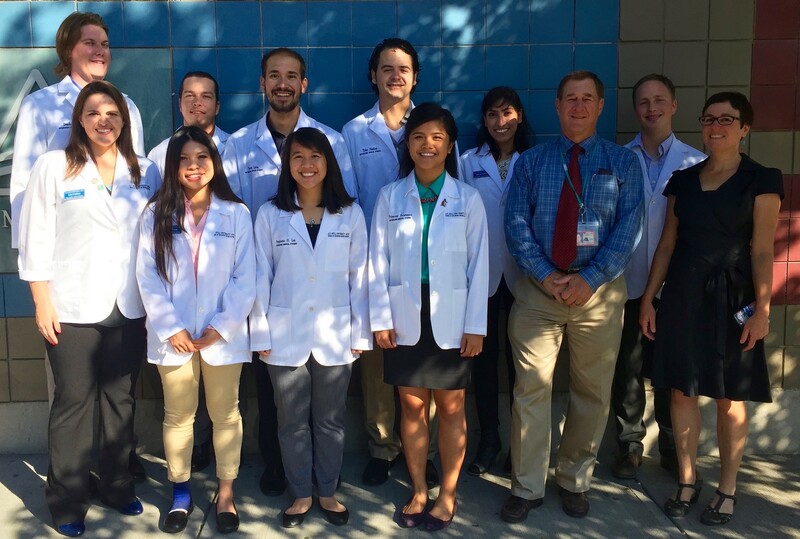 Still SOMA community campus partnerships increase the number of medical students trained specifically in community and migrant health centers (CMHCs). The bulk of their clinical training is centered in health centers. This model has been successful in A.T. Still University’s dental school and PA school, and so was expanded to include physician training. Osteopathic Medicine traditionally produces a high percentage of primary care physicians and has a focus on holistic care. We are currently training future CMHC leaders by exposing them to the CMHC model across Region X. The Hometown Program is a distinctive element of our selection process. Through this program, CMHCs can identify individuals in their community whom they endorse as applicants for our medical school. This helps to identify those who meet the mission of our program: to train quality physicians who will go on to serve in our health centers. Recruitment opportunities through the exposure of medical students to your health center. Retention of staff by becoming an integral part of the educational process with “intangible” advantages including improved clinical acumen and re-energizing, which comes with teaching. Enhance the reputation of your CMHCs as training institutions. Student activities assisting your CMHCs, which may include preliminary charting, pre-screening of patients for health maintenance and research on topics affecting your CMHC. Participation in a Region X innovative program to nurture students for continued practice in our region. Participation of 32 Region X CMHCs in providing student rotations: Average of 20 rotations per year within CMHCs in the disciplines of Family Medicine, Pediatrics, OB/GYN, Psychiatry and Internal Medicine. Inaugural class graduated in June 2011. 100% match rate for graduating class. SOMA Classes of 2011 – 2014: residency match averages of over 63% to primary care and averages 87% to primary care and needed specialties. Endorse a future doctor - Have a Hometown applicant to nominate? Please contact Lisa Watts DO. Nominate a strong educator - Would you or someone within your CMHC make a good preceptor? Please contact Katelyn Siri. Identify a local hospital - Is there a hospital within your community that you could recommend we contact? Please contact Naveen Kanithi. Start the conversation - If you have further questions or other ideas for collaboration, please contact us!